Lawrence Freeman is an outspoken opponent of the current policies of neo-colonialism. He is a highly respected researcher, writer, and speaker on a variety of topics concerning Africa. An outspoken critic of the ICC attacks on African countries, Freeman led a delegation of American State Legislators to Sudan, who subsequently exposed the charges that the Khartoum government was engaged in slavery as fraudulent. Insisting that Africa no longer be forced to live in a dark age, he has consistently brought African governments a roadmap for transformative infrastructure projects. As the author of dozens of articles and reports on Africa, having traveled to the continent 25 times, Freeman served as a member of AFRICOM’s Advisory Committee under U.S. General Kip Ward. Most recently, he was appointed Vice Chairman of the Lake Chad Basin Scientific Committee and is currently working on a project to replenish the shrinking Lake Chad. As the news of the success of this conference held in Africa spreads, it will create a wave of optimism across the continent. One reason is that African leaders are thinking big with a vision for the future, having taken it upon themselves to discuss and support such a transformative infrastructure project. Secondly, the endorsement of a feasibility study of Transaqua is an historic decision to replenish Lake Chad that has been contracting for the last 65 years. Africanagenda: So the DRC will be getting a great deal economically in exchange for the Congo River water which is currently unharnessed, just flowing into the sea. On the subject of the Congo River tributaries being the origin of the water transfer, could you please clear up for our readers a myth that is circulating . A number of sources are saying that the Ubangui River basin will be the origin, was this ever proposed? L.Freeman :There has been great misunderstanding regarding the subject of the Ubangui River and Transaqua. Some of the misinformation circulated has been deliberate and some out of ignorance. 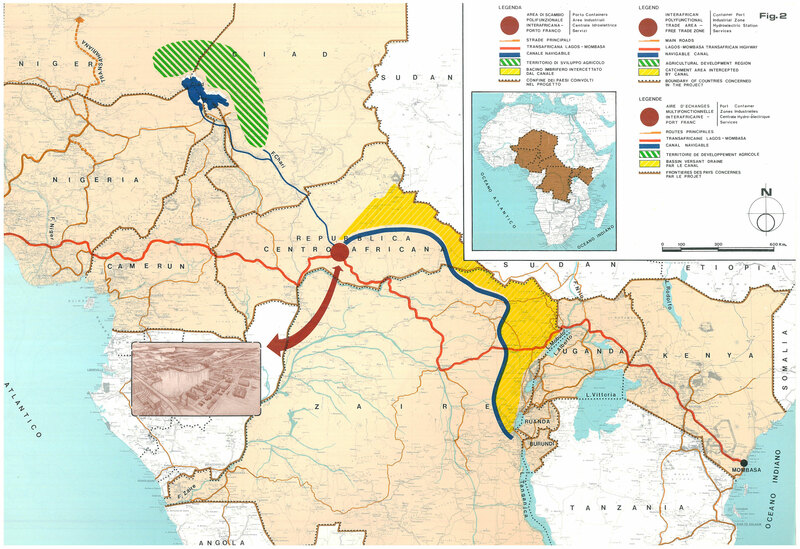 Decades ago, in the 1980s, the Transaqua proposal was presented to the Democratic Republic of Congo and the LCBC. There was considerable interest at the time, but it was not adopted, and a far more limited proposal, with no vision for transforming Africa was put forth to take water from the Ubangui River to refill Lake Chad. Some people in the DRC mistakenly believe that Transaqua would “steal” water from the Ubangui, and become very passionate in their objections to Transaqua. I can state unequivocally that Transaqua is not designed to drain water from the Ubangui, but rather to develop the industrial and agricultural potential of the DRC. This would not work, the cost is too high, and the water transfer would only expand Lake Chad to 40% of its 1963 level. Some people in the DRC mistakenly believe that Transaqua would “steal” water from the Ubangui, and become very passionate in their objections to Transaqua. The volume of the mighty Congo River that flows unexploited into the Atlantic Ocean is between 40-60,000 cubic meters of water per second; annually between 1,2 to1,9 trillion cubic meters. Since we humans were created to use our minds to intervene into the physical universe, we can use that water for the benefit of mankind. Transaqua would create a gravity canal utilizing between 5-8% of water from the tributaries to the right of the Congo River, and in return the DRC would become the pivotal nation in the transformation of a large part of the Africa continent. Transaqua would create a gravity canal utilizing between 5-8% of water from the tributaries to the right of the Congo River, and in return the DRC would become the pivotal nation in the transformation of large part of the African continent. Africanagenda: There is currently an extreme food shortage in the Kasai region of DRC brought on by population displacement and the presense of militia groups. How do you think the Transaqua project will affect food crises and the militia culture?There is also the question of Boko Haram in Nigeria. L.Freeman :If Transaqua had been adopted 35 years ago, we would not be witnessing the crisis in the DRC and Central African Republic that exists today. All the lives lost and money spent over these decades could have been prevented with the economic progress that would have resulted from the construction of Transaqua. Food, jobs, all types of infrastructure including electrical power would have been available to the citizens of the DRC, if construction of Transaqua would have begun when it was first proposed. A major motivation for the Nigerian government under the leadership of President Buhari, to support Transaqua at the Abuja conference to Save Lake Chad, was his understanding that refurbishing Lake Chad was an essential component to defeating Boko Haram. If you provide jobs and the potential for a meaningful future, you can drain the swamp of the potential young men, who join Boko Haram out of desperation and despair. The economic transformation of the Lake Chad Basin, which must include expanding Lake Chad, will be an essential element in the rebuilding of Northeast Nigeria. Unfortunately, US policy towards Africa has been very short sighted and does not include economic development in its strategy in combatting violent extremists. Of all the branches of the US government, only the Department of Defense has shown even lukewarm interest in Transaqua in the fight to eliminate Boko Haram. US leaders lack any comprehension of the role of economic development in addressing Africa’s problems. Only recently as result of the massive migration across the Mediterranean Sea, has Europe, especially Italy, begun to realize that developing northern Africa is essential to obviate the desperation that drives Africans to risk their lives to escape their homeland. Africanagenda: The Transaqua Project is an enormous investment.Critics say Transaqua is too big. Could you explain that this is a qualitative investment for the future economy of the African interior? And this kind of economic thinking was what Kwame Nkrumah proposed more than fifty years ago! L. Freeman :President Kwame Nkrumah, the “father” of modern Africa had a bold vision for Africa. With his creative imagination, Nkrumah foresaw an Africa composed of advanced agro-industrial nations. During his nearly ten years residing in the US (1935-1945), Nkrumah witnessed President Franklin Roosevelt’s profound economic transformation of the continental US—the greatest rate of expansion of the US economy since the completion of the transcontinental railroad, initiated by President Lincoln. Nkrumah learned the importance of infrastructure as the foundation for economic growth. In his writings and speeches, he discussed how the African continent could be integrated through a vast modern rail network. He knew that, if Africa’s vast potential of natural wealth was properly managed, its future was bright. Today, Transaqua represents the type of Pan African project that can drive economic progress across the continent. He like other leaders was acutely aware of the huge potential of the Congo River as a resource for the African continent. And like Roosevelt, perceived the imminent possibility of “blooming” the Sahara Desert. Today, Transaqua represents the type of Pan African project that can drive economic progress across the continent. Africanagenda: You wrote that “Money is not wealth” Could you explain how the Transaqua Project can be the implementation of the New Paradigm in the African continent. L. Freeman: Transaqua, which will affect the transformation of a dozen or more African nations, in truth, has never really been too expensive or too big. The failure to realize Transaqua has been the result of leaders, who think too small and have no understanding of the relationship of the production of physical economic wealth in long term strategic thinking. Wealth, not money, is that which enables a society to advance its capacity to increase its production of physical goods from one generation and/or production cycle to the next. Sustained improvements in the living standard of a nation’s population depend on continuous injections of science and technology into the education-culture of society. The source of discovery of new technologies and the ability to assimilate new technologies; is the human mind. Money provides none of this. However, credit extended over a long period of time at modest interest rates, facilitates the investment in new capital formation, most especially infrastructure. Often, the most accessible forms of “cheap credit, is government-public credit. China utilizing government credit has almost miraculously lifted almost 700 million of its population out of poverty, and publicly expressed its desire to help African nations to eliminate poverty as well. China is applying the same concept of credit in its global infrastructure initiative: One Belt-One Road. This has created a new paradigm of development for the rest of the world, one no longer dependent on the dictates of Western financial intuitions. Africa is benefitting from this New Silk Road spirit by collaborating with China to build railroads, airports, ports, roads, etc. replacing the old colonial broken down structure. The time for Transaqua is now! 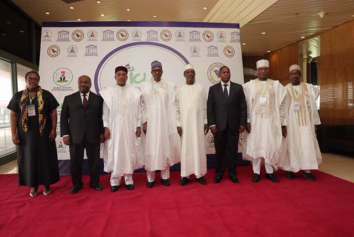 In this new geometry of an African economic renaissance, the capacity of African leaders to think big and in the future, has been enhanced, as I personally witnessed at the Abuja Conference to Save Lake Chad, where the initial steps to realize the potential of Transaqua were taken by the leaders of the Lake Chad Basin. My hope is that this new optimism will spread, enabling African nations to shed the economic shackles that have preventing them from realizing their full potential. Africanagenda: Mr Freeman,thank you for joining us today.